Tonight’s Song of the Year win marks Glovers’s fourth Grammy win and their twelfth nomination. 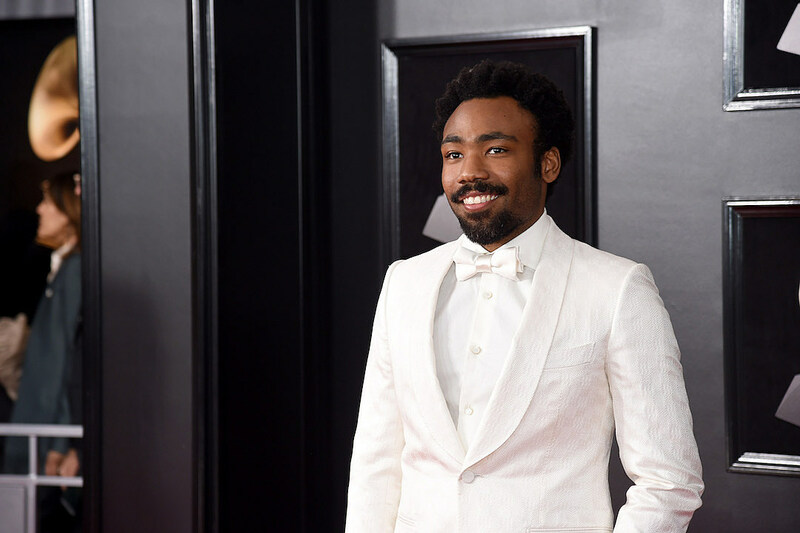 “This Is America” was also awarded Best Music Video and Best Rap/Sung Performance at this year’s Grammys. “All the Stars” – Kendrick Duckworth, Solana Rowe, Al Shuckburgh, Mark Spears and Anthony Tiffith, along with songwriters Kendrick Lamar and SZA. “Boo’d Up” – Larrance Dopson, Joelle James, Ella Mai and Dijon McFarlane, along with Mai, the songwriter. “God’s Plan” – Aubrey Graham (Drake), Daveon Jackson, Brock Korsan, Ron LaTour, Matthew Samuels, Noah Shebib and Drake, the songwriter. “In My Blood” – Teddy Geiger, Scott Harris, Shawn Mendes and Geoffrey Warburton and Mendes, the songwriter. “The Joke” – Brandi Carlile, Dave Cobb, Phil Hanseroth, Tim Hanseroth and Carlile, the songwriter. “The Middle” – Sara Aarons, Jordan K. Johnson, Stefan Johnson, Marcus Lomax, Kyle Trewartha, Michael Trewartha, Anton Zaslavski and songwriters Zedd, Maren Morris and Grey. “Shallow” – Lady Gaga, Mark Ronson, Anthony Rossomando, Andrew Wyatt and songwriters, Gaga and Bradley Cooper. “This is America” – Donald Glover, Ludwig Goransson and Jeffrey Lamar Williams and songwriter Childish Gambino (Glover). Last year’s Song of the Year winner was Bruno Mars.